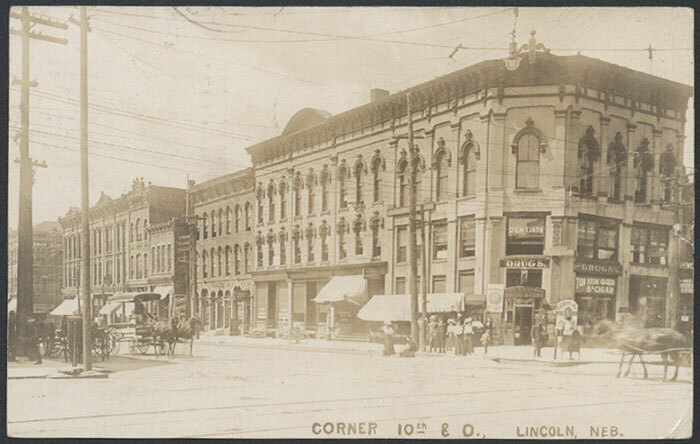 A real photo postcard of the State Block on the southeast corner of Tenth and O Streets. Circa 1905. The removal of the balcony over the corner door and the remodeling of the cornice suggest the later date.